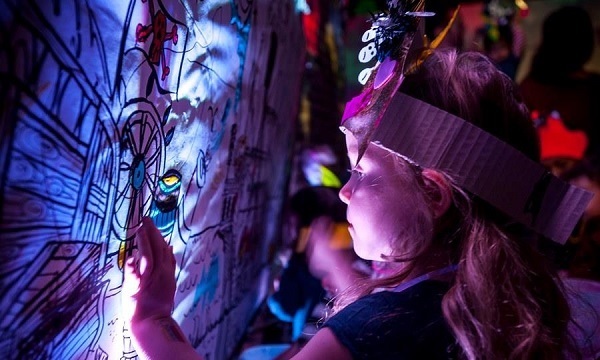 Grab a sprinkling of fairy dust, think happy thoughts and prepare to fly off on an adventure as the Museum of London Docklands transforms into the magical world of Neverland for a day of interactive activities. Join Peter Pan, Wendy, Captain Hook and the rest of J.M. Barrie's much-loved characters. You can sing your heart out with mermaids, hunt for Peter Pan's shadow and learn if you have what it takes to join Captain Hook's crew in this enchanting family event. But be careful. You might just come face to face with a fierce pirate, mischievous fairy or ticking crocodile. Need a break from the action? Immerse yourself in the story and watch an interactive screening of the beloved 1953 Disney film, or create your own magical crafts, all with a Neverland twist. It is on Weekends of 24/2/2018 to 4/3/2018. Cost is £8.50 adults; £6.50 children (5 years and over); and £4 children (0-4). Recommended viewing age is 5 years old but children of all ages are welcome. Maximum of three children per adult and maximum 4 adults per child. No unaccompanied adults or children are allowed. Fancy dress optional, but very much encouraged. Cosplay is the latest trend for adults as well as children. If you plan on watching the film screening, please note that there are no seats and this will involve sitting on the floor. The Museum of London Docklands recommends bringing any special seating you may require with you, for the sake of comfort. Some seating will also be available to those who require it. The film run time is 76 minutes. Children aged 2 and under are free, but still require a ticket. For bookings involving children under 2 years, please book via the Box Office on 020 7030 3300. Please note that there are no activities specifically catering for children under the age of 5. Peter Pan, the boy who never grew up, found fame in a play by Scottish writer J.M. Barrie, first performed at the Duke of York's Theatre on 27 December 1904. The play was hugely popular, remaining as a major part of the London Christmas season for years to come. The actor, Pauline Chase, played the role of Peter Pan at the Duke of York's theatre annually from 1906 until 1913. Traditionally the role of Peter Pan was always played by female actors. The play was so successful that Barrie adapted it into a novel, and Peter Pan has become an enduring figure in children's fiction. He's an iconic character caught between two worlds, the everyday London of Kensington Gardens and the dramatic fantasy of Neverland, complete with mermaids, Indians and Lost Boys to play with and battle.